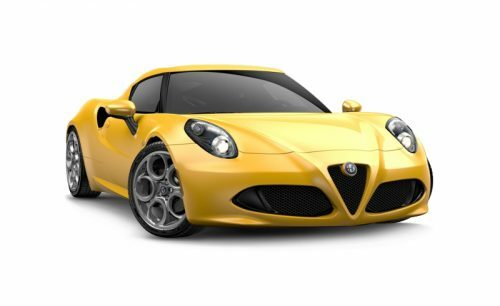 Alfa Romeo 4C PDF Workshop and Repair manuals, Wiring Diagrams, Spare Parts Catalogue, Fault codes free download! Alfa Romeo 4C (body code – 960) – a compact two-seater sports car, the production of which began in 2013 by the Italian company Alfa Romeo. The prototype of the car was shown at the Geneva Motor Show in 2011. In October 2012 it became known that the car will go to the series. Then, in January 2013, spy photos of the coupe appeared on the Internet, in February the company published photos of the serial version. At the Geneva Motor Show in 2013, the finished version of the sports car was shown. The price for a car in Europe will roughly begin with 56,000 euros. The name of the car got the number of cylinders in the engine, like the Alfa Romeo 6C in the first half of the last century and the Alfa Romeo 8C Competizione in the late 2000s. The mass ratio is 40/60% in favor of the rear axle. As standard, the body of the car is red Alfa Red, but also the car is painted in a rarer white Carrara White. 4C has a 1.75-liter four-cylinder turbo-petrol engine with a power of 240 horsepower and a torque of 350 N • m, 280 of which are available at 1700 rpm. The gearbox is also only one – a six-speed robotic TCT transmission with a double clutch. Front 4C has an independent spring suspension on double wishbones, and at the rear are McPherson struts. This unusual solution (on conventional cars, the MacPherson-type suspension is located in front), coupled with low weight and lack of power steering, according to the developers, should lead to the best possible handling. This is also facilitated by a rear differential with mechanical locking and a fully disengaged stabilization system. Good braking (from 100 km / h to 0 the car stops for 36 meters) is provided by Brembo brakes with four-piston calipers and Pirelli P Zero tires with different diameters and widths in front and behind. For the sake of low weight, the 4C seat frames are made of carbon fiber and fiberglass. The Alfa DNA traction control system, which controls the behavior of the engine, brakes, steering, gas response, suspension and gearbox, has, in addition to the Dynamic, Normal and All Weather modes, the new Race. The dashboard is completely digital and depending on the mode it has its own color – red, gray, blue and yellow, respectively. The car, in contrast to the concept, has multi-sectional LED lights. In many ways the 4C Concept did not differ from the serial version.